*This is not a sponsored post. Opinions and content belongs to jenny at dapperhouse. 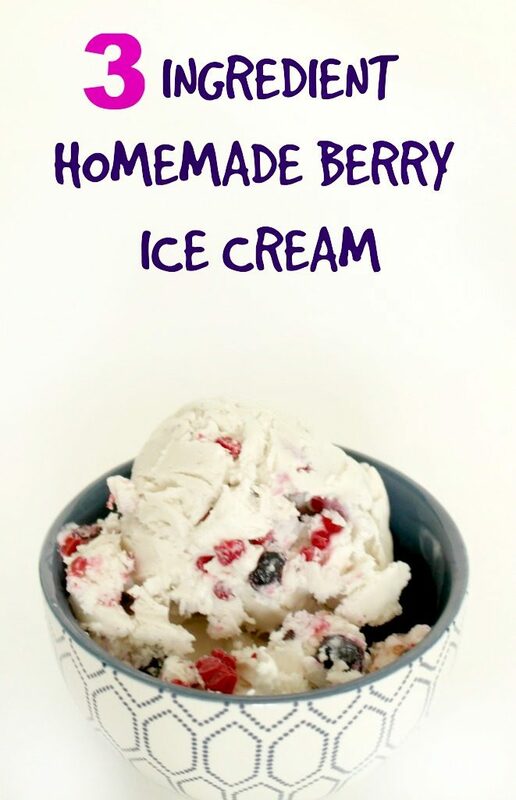 Ice cream is yummy all year round and it is always super fun to make! For little chefs who like to cook this recipe is a perfect one for them to make with a little bit of help. You can take the first two ingredients and add whichever third ingredient you like such as peanut butter, chocolate fudge or fruit! Enjoy. Step 1.) 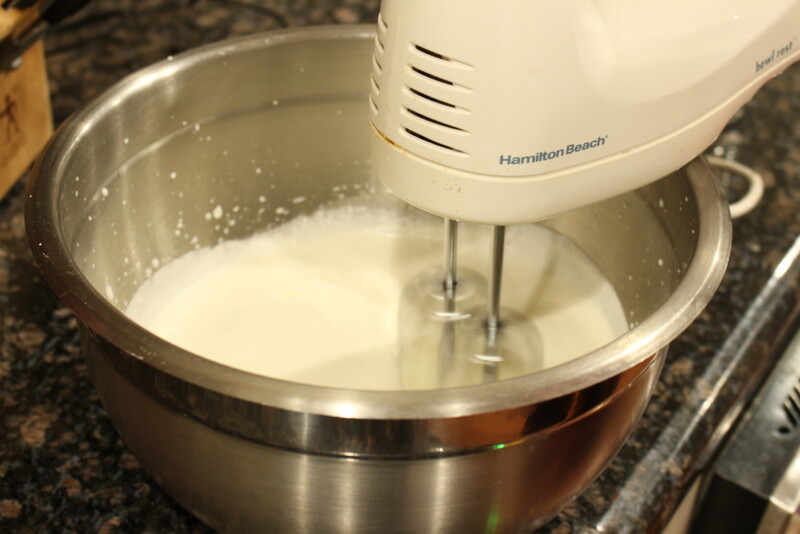 Add 2 cups of heavy whipping cream to a large mixing bowl and beat on high with electric mixer until it turns to stiff peaks. Step 2.) Add the can of condensed milk and mix with spoon until blended. Step 3.) 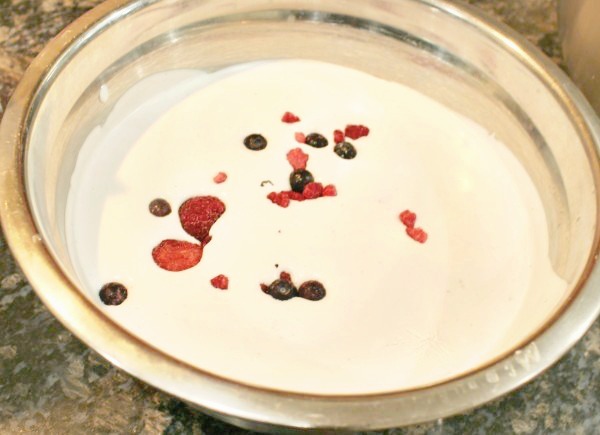 Fold in mixed berries with the spoon. Step 4.) 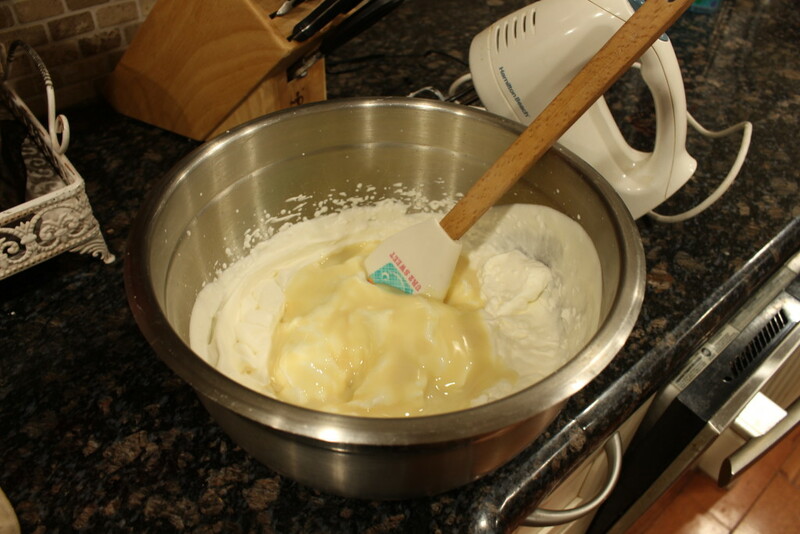 Transfer the mixture into a smaller bowl and cover with plastic wrap. Step 5.) Put in the freezer and leave for at least 6 hours or overnight. Step 6.) 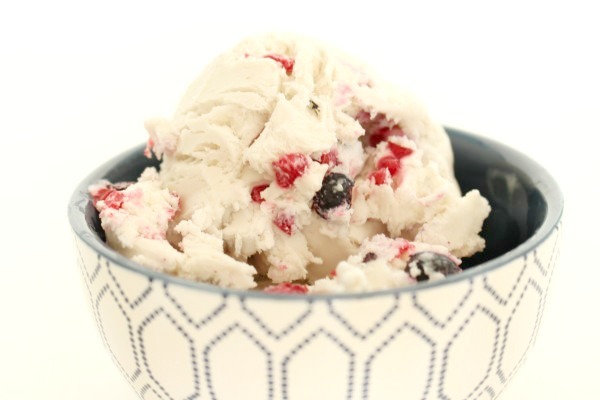 Use an ice cream scoop to serve your ice cream and enjoy! fun foods, little chefs, Recipes. permalink.